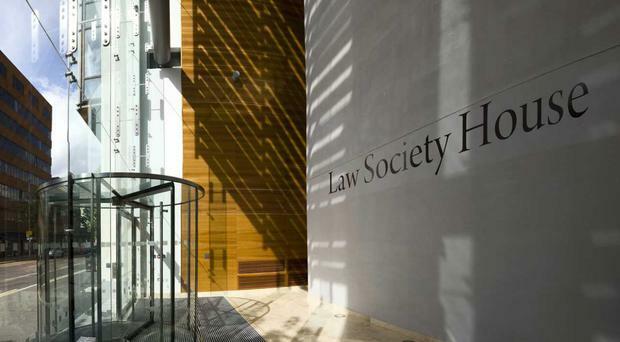 The Law Society of Northern Ireland, the professional body for solicitors here, is seeking a new chief executive. It follows February's announcement that Alan Hunter is to retire after 11 years in the role. It is understood that for the first time the Law Society could appoint someone from outside the legal sector for the post, which attracts a salary of £105,000 a year. The body represents almost 3,000 solicitors across Northern Ireland. Claire McKee, partner at search and selection specialists Clarendon Executive, which has been tasked with finding a new chief, said a legal qualification will not be necessary to apply for the role. "Positions of such seniority and standing do not present often," she said. "We are searching for someone capable of providing strategic direction in the context of change and transformation. Working with a wide range of stakeholders locally, nationally and internationally, the new chief executive will continue to strengthen the standing and profile of the solicitors' profession as key professional legal advisers." While a legal background isn't a necessity, she said it will be important for the successful candidate to have recent experience of operating at senior management level within a regulatory environment, a membership services organisation or an organisation with a complex governance system. The closing date for receipt of CVs and completed application forms is midday on Tuesday, May 7. It is expected that the new chief executive will take up their post on September 1.